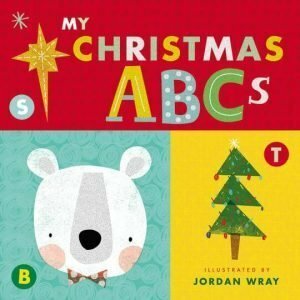 Looking for Christmas books for kids? These are some of our favorites! 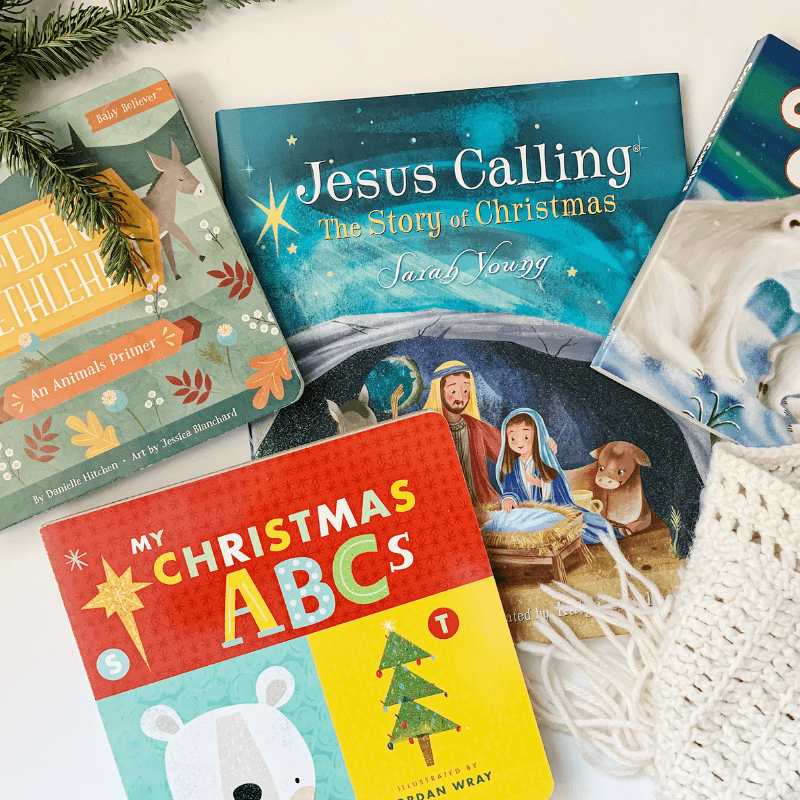 We keep our Christmas books for kids all stored away with the holiday decor, so it is always exciting when we break them out at the beginning of the season! I try to add a book or two to the collection every year. 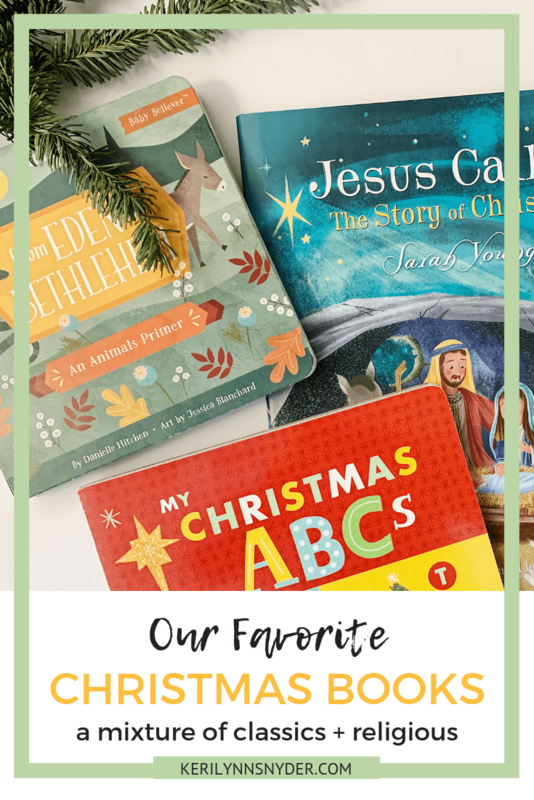 Our family enjoys a mixture of classic Christmas books and books that point them to Jesus. If you have a little one, you will love this book! It is a touch-and-feel book so a win with my littlest! This is a favorite, especially with some hot cocoa! 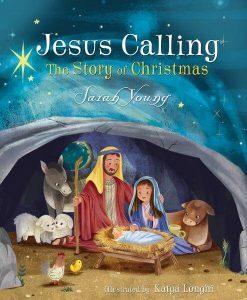 This is a great book to point your kids to the real meaning of Christmas. If you have a preschooler this is a perfect book. You could even do a daily craft with each letter. We grew up reading this book at my Grandmas so it has a special place in my heart! This is a new addition this year and I love how it takes you from Eden to Bethlehem using animals. We love a lift the flap book! The one we have is from Usborne, but this is similar. My kids have loved George and the Christmas Curious George movie. This is a really cute book! We love these books and love the focus of this one. 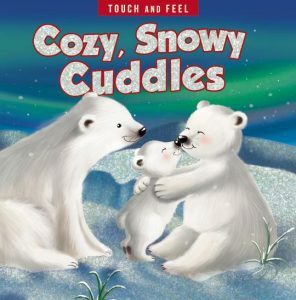 This is such a sweet and meaningful book for families! My kids love the movie and the book. It is definitely a classic! This is a new book for us and I love it! The whole focus is encouraging kids to embrace being different! There is a stuffed animal and tradition that comes with this sweet book. What are some Christmas books your family enjoys?